Mahindra will launch a luxury MPV in India next year. Currently code-named U321, the MPV is being extensively tested on Indian roads. It is evident that Mahindra wants this MPV to take on the Innova Crysta. Proof of this can be had from the Innova Crysta that is accompanying the U321 on testing rounds. We believe that Mahindra is using the Crysta as a benchmark model during testing. It is expected that the U301 will match or better the Innova in many respects. More details on what these aspects are will only be known at the time of launch. For now, we do know that the luxury MPV will get both petrol and diesel engines. The petrol engine will be a new 1.5 liter unit, possibly with turbocharging. Outputs haven’t been revealed yet. The turbocharged diesel engine will also be an all new unit but with a capacity of 1.6 liters. Manual and automatic gearboxes are expected on both engines. The MPV will be front wheel driven and will have a monocoque chassis. The vehicle will have a lot of inputs from Mahindra’s North American Technical Center in Michigan. 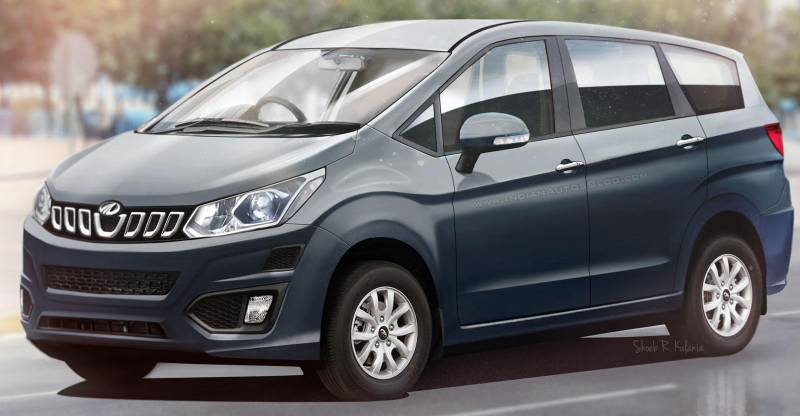 The company plans to sell this MPV in markets around the world. In terms of pricing, the U321 is expected to sit in the large gap that exists between two of India’s best selling MPVs – the Maruti Ertiga and the Toyota Innova Crysta. This pricing move will allow Mahindra to appeal to both Ertiga and Innova customers. The U321 is likely to be aimed at both family MPV buyers and cab operators. Mahindra may even sell large number of these vehicles to cab aggregators such as Uber and Ola. We expect this vehicle to be shown at the Auto Expo next year, and a mid year launch is likely. Things are hotting up in the people-mover segment.